I have a rose (I wish I knew the type) which has outgrown its container. It did fall over several times last year in windy conditions and I didn't get around to repotting it before it burst into leaf the other week. Would it be a bad idea to repot it now with it no longer being dormant? Thanks. Roses are pretty tough and if you need to move it I would bite the bullet and do so. Just check other threads in here about the right soil and pot size etc and keep it well watered and it should be fine. It may well benefit from a more robust compost ... John Innes No 3 would be suitable with the addition of a couple of handfuls of multipurpose compost to aid drainage. Apart from the loambased John Innes being most suitable for longer term planting, it’s heavier than the more fibrous composts so should help weigh it down a bit. I wouldn’t hesitate to repot it, in the compost Dove recommends, it will do it good. It looks like it could be a climber, in which case a larger pot, ideally 50cm wide and deep, plus a trellis for it to grow up would help, but until its in flower, ID is tricky. Post a pic of it when in flower and I am sure the rose experts on this forum can identify it for you! Thanks for the info everyone, I'll go ahead and tackle it tomorrow. 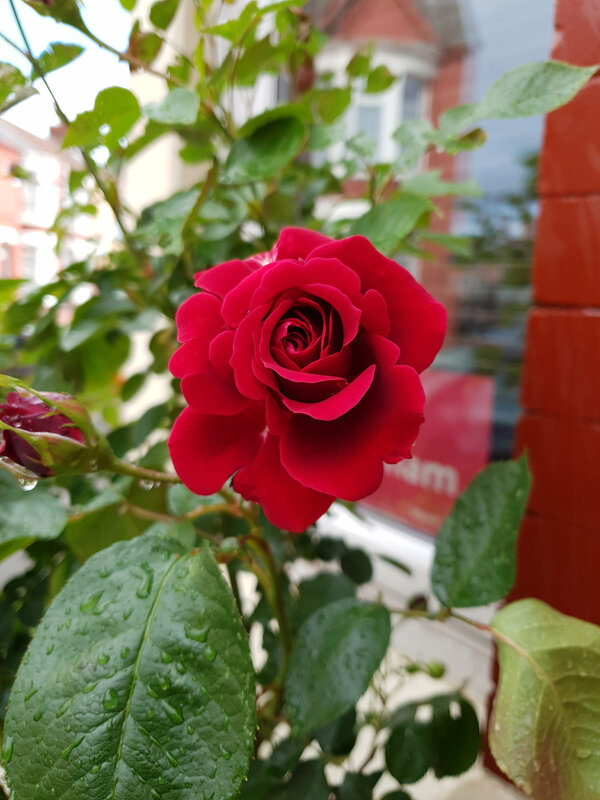 Here are some photos of the rose in bloom from last year in case anyone can ID it. Looks like my Etoile de Hollande - a sturdy climber with a heady scent. Is there any chance you could get the poor thing into the ground and give it a bit more root freedom? Mine grows well against the front of the house in heavy clay, but it has quite an extensive root run. My only hesitation is that all the young shoots on mine are deep red as they emerge. 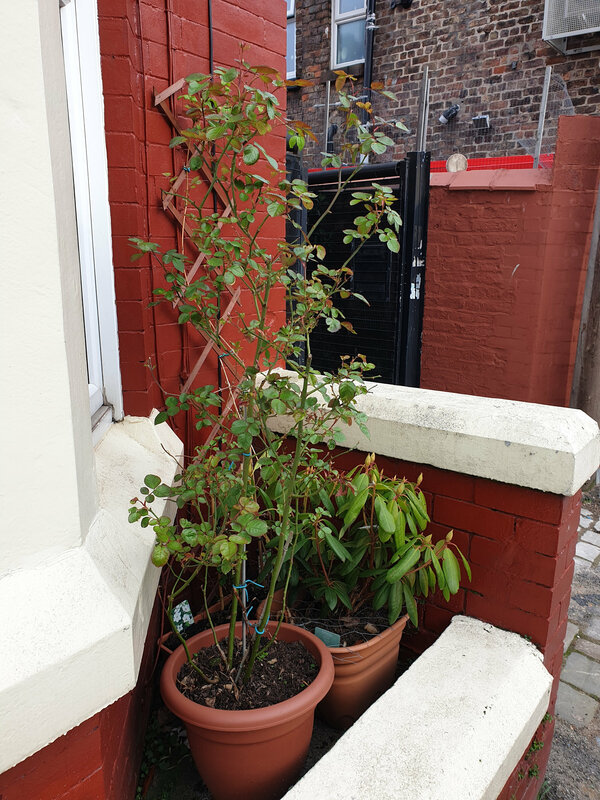 Unfortunately, I have no ground at all in which to plant this rose, front or back (Victorian terrace with a small concreted back yard). I didn't really know to choose a rose suitable for containers when I bought this about 2 years ago. I have repotted it today into a much bigger container - while this isn't ideal, I guess it's better than it was. Now I know it's a climber I'll tie it on to a trellis! Good for you, the rose should do much better now. Keep an eye on the watering though. Roses are incredibly difficult to identify as there are many thousands. Our last garden had eighty or so and even I could only identify four or five hence each one was labelled. 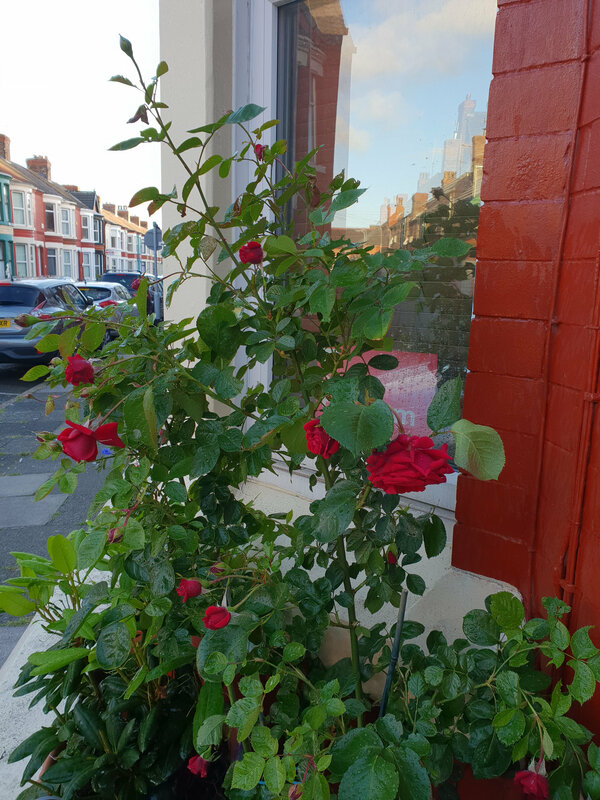 I never like to grow roses in pots, no matter how large a pot as, for me, they never seemed to happy no matter how well watered and fed they were. Can't you get it into the ground where it now is, breaking a large hole in the concrete perhaps. If not the largest terracotta pot which will fit in there as the weight would be more stable. A lovely flower by the way.